NIPAWIN, Saskatchewan -- It took five years but now the Nipawin RONA PBR has a home province champion. That champion? Maple Creek's tall drink of water that is Jared Parsonage. Parsonage put up 84 points on Canadian Outlaw from the Vold/Prescott string of buckers in round one for third place and notched the only ride in the events finals for the win. A date with Minion Stuart has brought many a cowboy success in the past couple years. The score on Friday night in Jared's first dance with the superstar was worth 87.5 points, $4,515.64 and 60 world points. 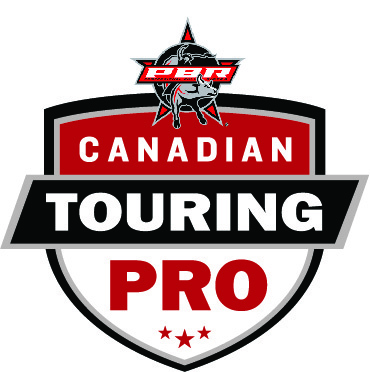 Second place on the evening went to Idaho's Brady Oleson, the winner from Prince Albert and the lone American bull rider to win on the PBR Canada Touring Pro Division Schedule so far in 2017. Oleson put up 85 points on Whoote Blues from Vold/Prescott for $2,496.88 and 30 world points which moved him right up to 46th in the PBR's World Standings. Fellow American Cody Casper, of Pacific, WA was 84.5 in round one but didn't connect in the final round. Casper earned $1,593.76 and 20 world points for his work. British Columbia Rookie Jake Gardner of Fort St. John was 81 points in round one for $903.13 and 15 world points, both his first in the PBR. First Buckle - Rafter 8 was the top bull of the night with a score of 44.5 points. Round one: 1. Brady Oleson on Vold/Prescott's Whoote Blues, 85 points, $637.50; 2. Cody Casper, 84.5, $478.13; 3. Jared Parsonage, 84, $318.75; 4. Jake Gardner, 81, $159.38; 5. (tie) Dalton Rudman, Thor Hoefer and Brock Radford, 77.5; 8. Justin Lloyd, 74; 9. Zane Lambert, 71; 10. Jordan Hansen, 62. Aggregate, total money and points earned: 1. Jared Parsonage - Maple Creek, SK - 171.5 points on two bulls, $4,515.64, 60 points; 2. Brady Oleson - Blackfoot, ID - 85 points on one bull, $2,496.88, 30; 3. Cody Casper - Pacific, WA - 84.5, $1,593.76, 20; 4. Jake Gardner - Fort St. John, BC - 81, $903.13, 15; 5. (tie) Dalton Rudman - Kenilworth, UT - Thor Hoefer - Priest Falls, ID and Brock Radford - DeWinton, AB - 77.5, $322.28 each, 5 points each; 8. Justin Lloyd - Tisdale, SK - 74 points, $148.75.